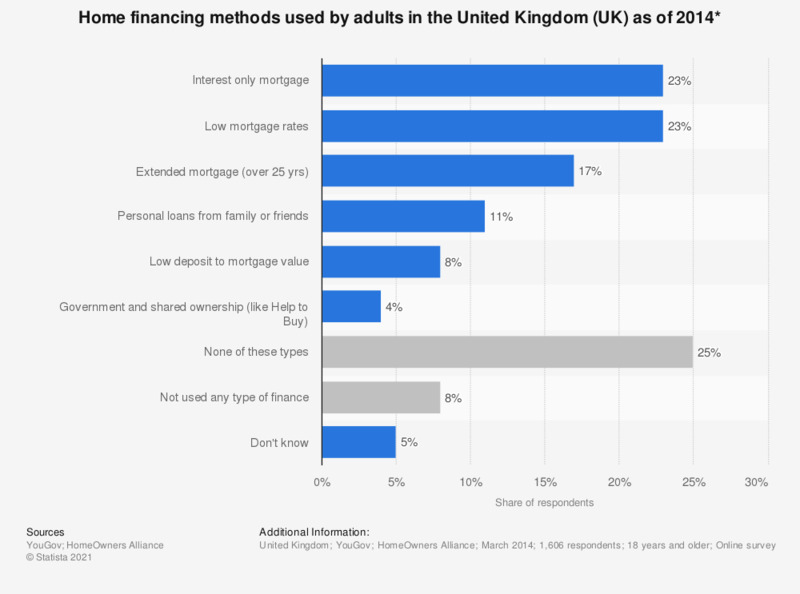 The statistic shows the financing methods used to pay for houses in the United Kingdom (UK) as of March 2015. It was found that 25 percent of homeowners have not used any financing options. With 23 percent, low mortgage rates and interest-only mortgages were the most used methods of financing a property purchase. Statistics on "Mortgages in the United Kingdom (UK)"